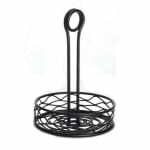 The American Metalcraft RBNB16 round condiment rack has a wire holder in the middle that is able to hold table numbers and menus or act as a handle when carrying the unit. 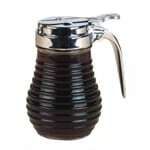 The rest of the caddy is designed to hold shakers, condiments, and packets. A birdnest design on the sides creates a unique look. 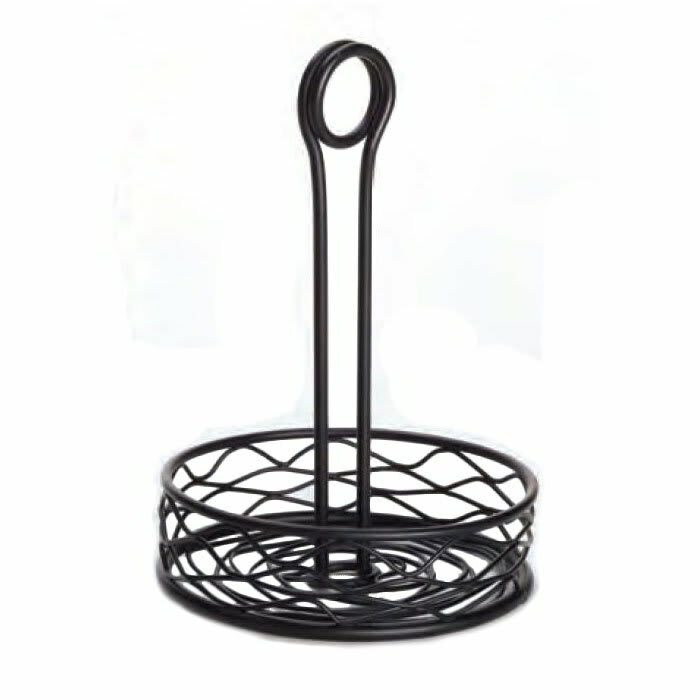 Durability is provided by the wire construction, and its black color fits in with various décors. 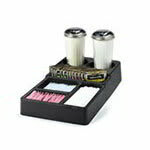 The American Metalcraft RBNB16 round condiment rack should be washed by hand.